Your RoboForm logins will be converted into 1Password logins. Only passwords will be imported. Identities, safenotes, and other items will not be imported. 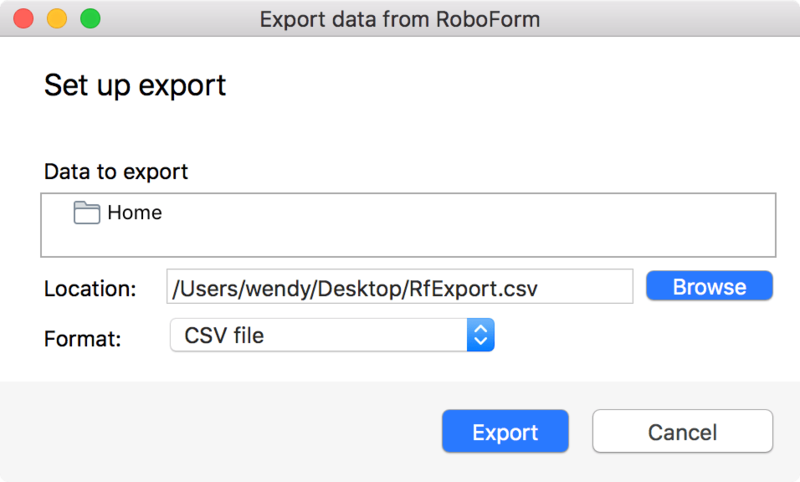 To import your data from RoboForm, you’ll need RoboForm 8 (or later) for Mac or Windows. Open RoboForm and enter your RoboForm Master Password if asked. Click Export to save the file to your desktop. Click the RoboForm icon in the notification area and choose Options. Enter your RoboForm Master Password if asked. Uninstall RoboForm to avoid conflicts with 1Password. 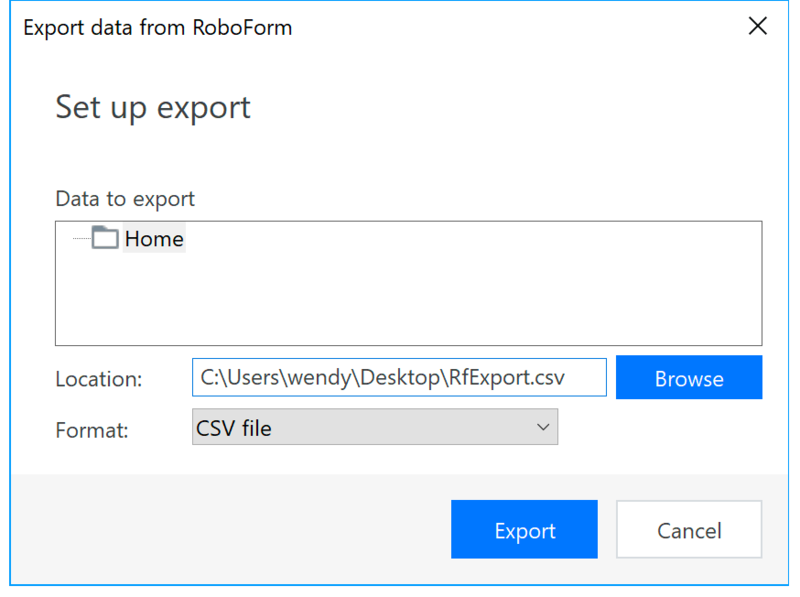 If you’re having trouble importing your RoboForm data, contact 1Password Support.